All Terry Pratchett wanted was what he called a noble death. He wanted to die on his terms, while he still had the mental capacity to make the decision himself. He wanted what he called the Victorian death: surrounded by friends and family, a few tears, and the chance to say goodbye. In the end, he didn’t choose suicide, but he got a good death anyway. Terry Pratchett has passed away at age 66. He was surrounded by his wife and daughter, with his cat asleep on the bed with him. There are prolific authors, and there’s Terry Pratchett. He published over 70 books in 40 years of writing, and he kept working right until the very end. Even after Alzheimer’s disease took away his ability to read and write, it didn’t take away his ability to work. He used special voice dictation software to continue working. His last books were published in 2014. He died the way he wanted, and he worked until the very end. Can you really ask much more from a life cut short by a terrible disease? 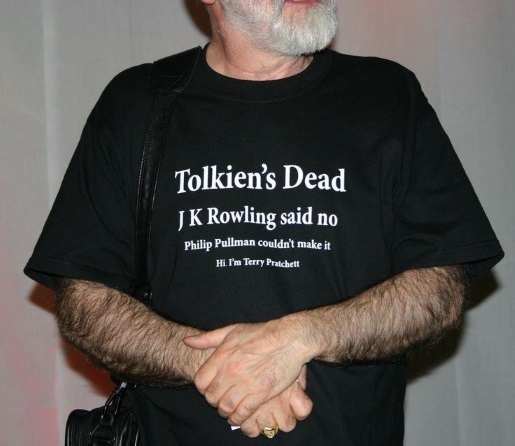 If there’s such a thing as a good way to die, Terry Pratchett got to have it.